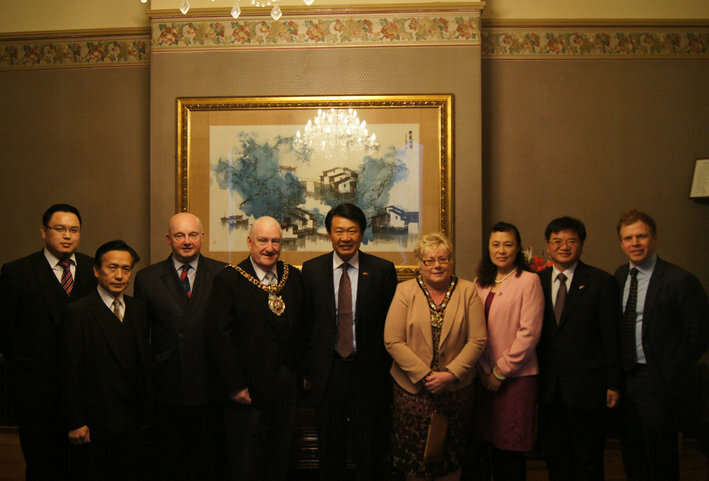 Consul General Li Yongsheng and wife met with Lord Mayor of Manchester Paul Murphy and Lady Mayoress, Lord Lieutenant Sir Warren Smith of Greater Manchester, Chief Executive of Manchester China Forum Rhys Whalley, and Mr. Stephen Chung, president of NG Yip(UK) Association. Present were also Deputy Consul General Lai Bo and Consul Lyu Xiaomei. Consul General thanked leaving Lord Mayor Murphy for taking an active part in all Consulate activities and unwavering support to the Consulate during his term. 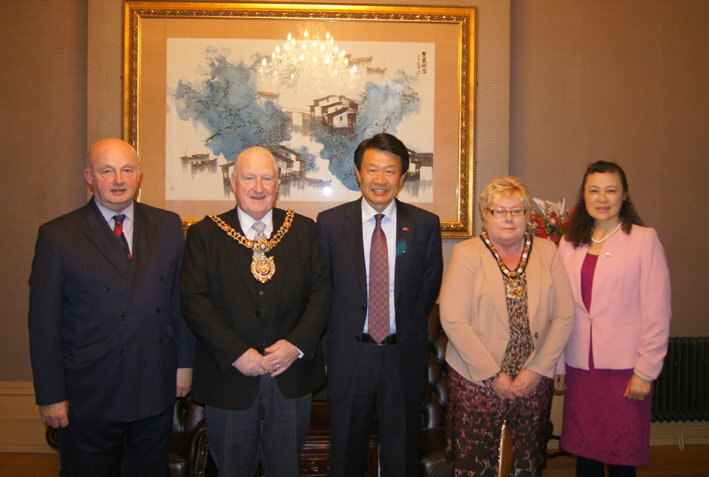 He said, the year 2015 of Lord Mayor Murphy's tenure was an extraordinary one, during which Lord Mayor Murphy witnessed the first-ever visit to Manchester by a Chinese head of State and recieved Chinese President Xi Jinping for himself. During the year, he also experienced China-UK relations entering the 'golden era'and participated in aligning the 'Belt and Road Initiative' with 'Northern Powerhouse'. 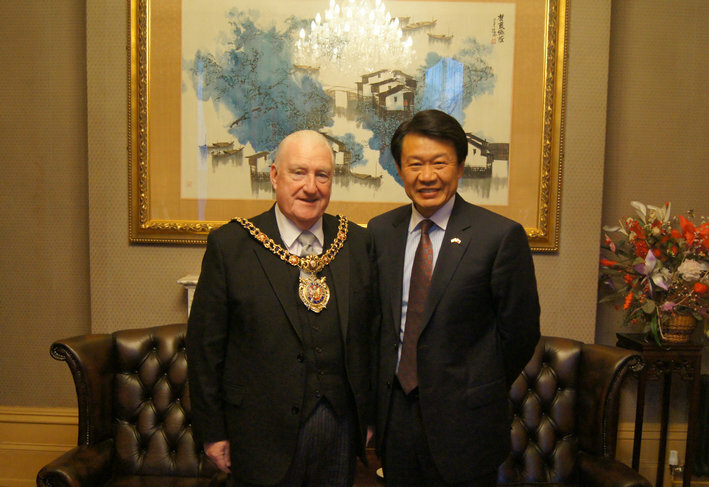 He anticipated Murphy to exert further influence after stepping down supporting friendly cooperation between China and Manchester.